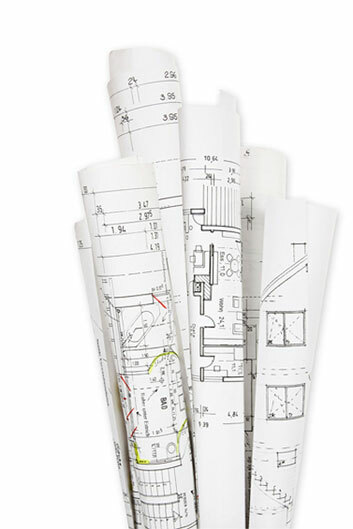 James L Carroll & Associates includes a multi-disciplinary team of home designers and drafters who offer expertise to any residential project. We are experienced in a wide range of residential developments, and our qualified team has successfully helped plan, design, and coordinate the process for many custom homes. All of this resulting in distinguished, elegant and modern designs that are as practical as they are visually appealing. "I am a general contractor with an extensive background in Commercial and Luxury Residential construction. I have partnered with James Carroll for more than 20 years on various projects. James has always conducted himself and his business in a professional and trustworthy manner. I have complete confidence in Jims' design capabilities and have recommended him to clients on several occasions. He maintains an excellent reputation with other builders that I associate with as well as with past clients"
We take all aspects of the design process seriously and understand that there is always a budget. The James Carroll team knows how to work efficiently and effectively. They also recognize the difference between the two. Effective work means doing the job correctly. Efficient work means accomplishing the task on time. Our entire team is committed to doing both! Fine home design isn’t just about drawing sketches of houses or floor plans. A lot of work goes into creating, designing and remodeling homes. We listen attentively to any and all ideas our clients have, then incorporate those ideas and wishes into the details that others often overlook or simply forget about. Each member of our exceptionally qualified staff regularly and dutifully attend industry conferences and trade shows so they can be updated on the latest trade trends and techniques. James Carroll personally travels throughout the United States and the world so as to experience first hand home design trends and the many architectural styles of residential design from ultra modern, craftsmen, shingle, farm house, and mountain contemporary. James L Carroll & Associates also provides services for numerous home additions and remodels, detached garages, gazebos, pool cabanas, the preservation and restoration of buildings, as well as architectural consultation for the reconstruction of collapsed and deteriorated buildings. We are committed to offering our clients only the most exceptional services, throughout the construction process. We ensure that the goals and creative input of our customers are fully realized. We settle for nothing less than absolute customer satisfaction. Contact us to discuss your ideas for your next Residential Design project in Saint George by calling us.